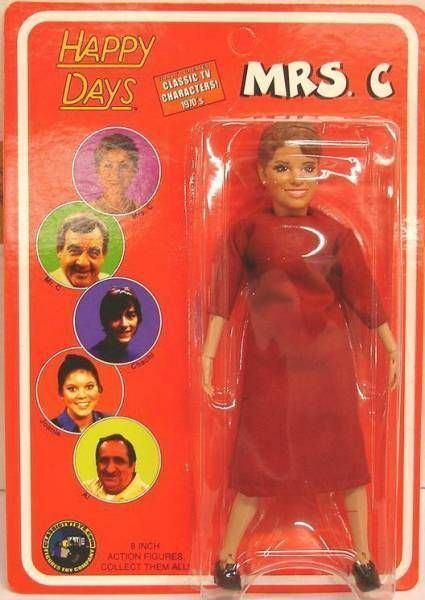 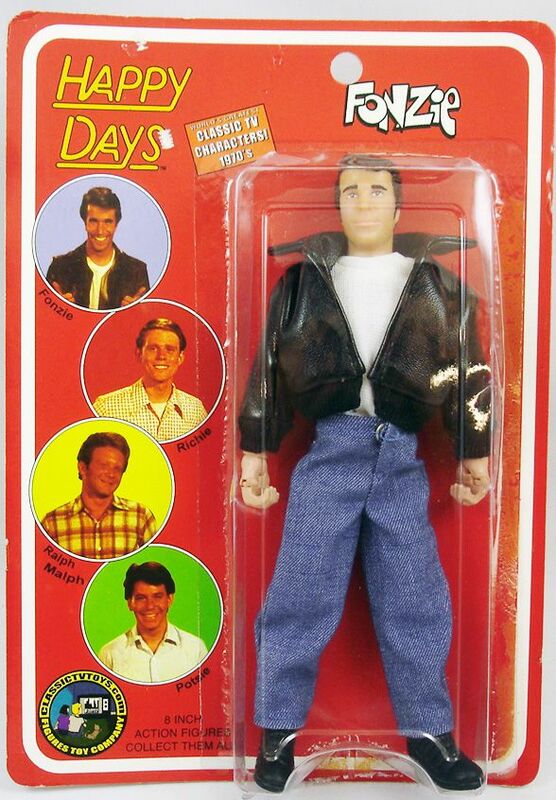 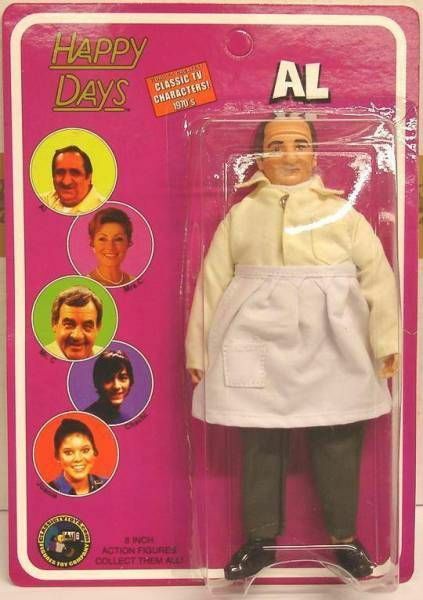 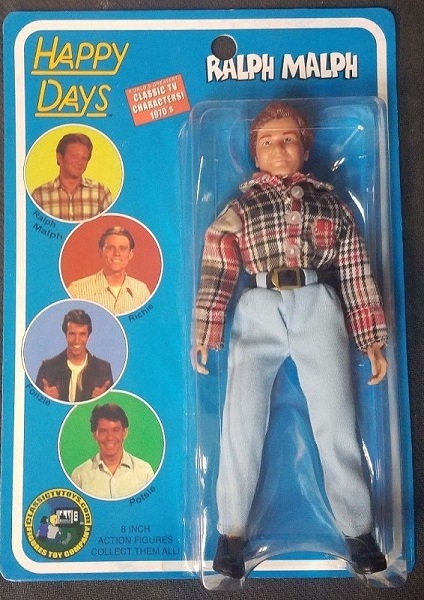 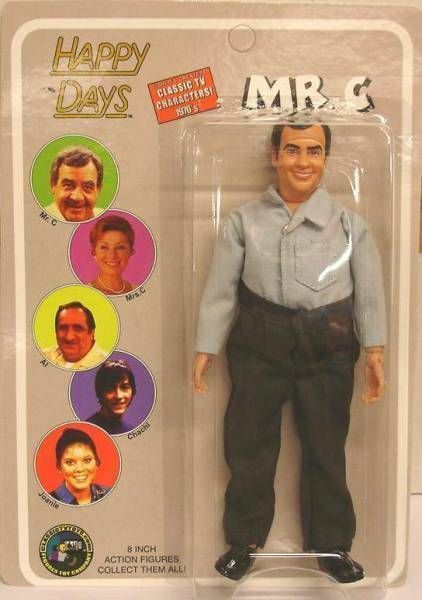 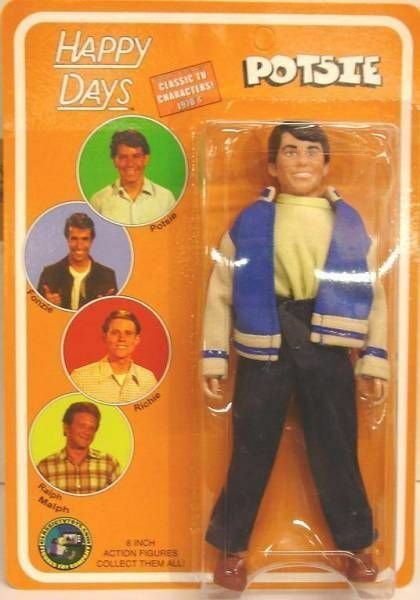 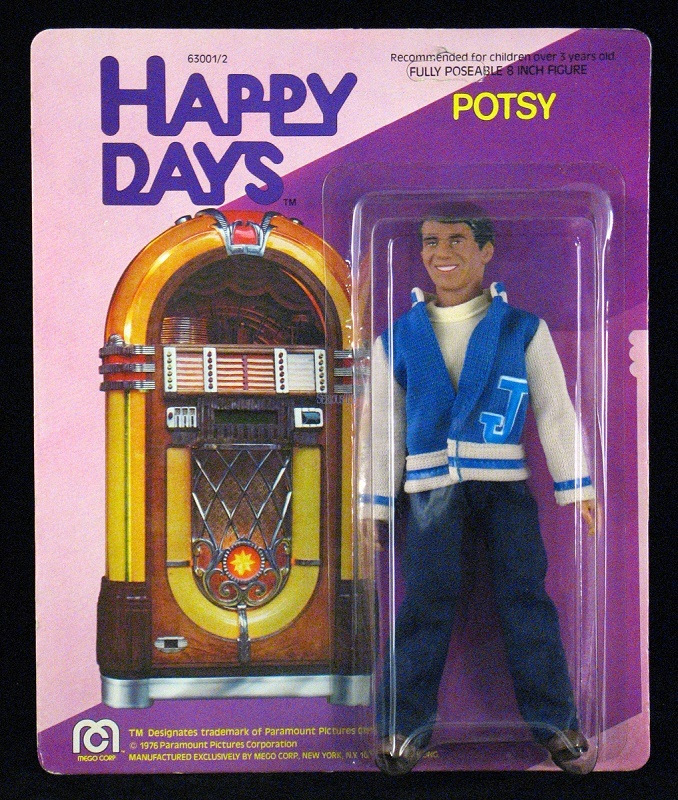 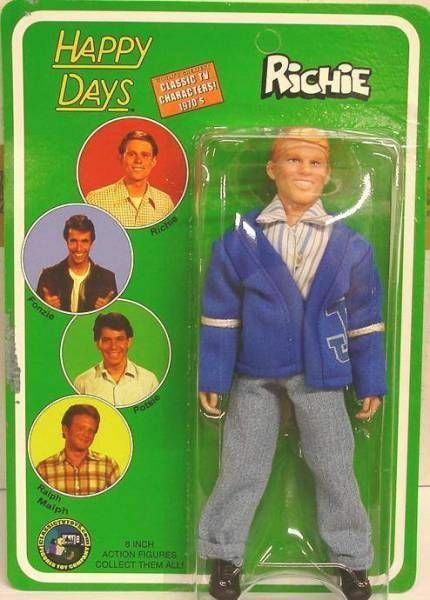 When Was the Mego Happy Days Line Released? 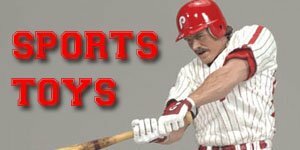 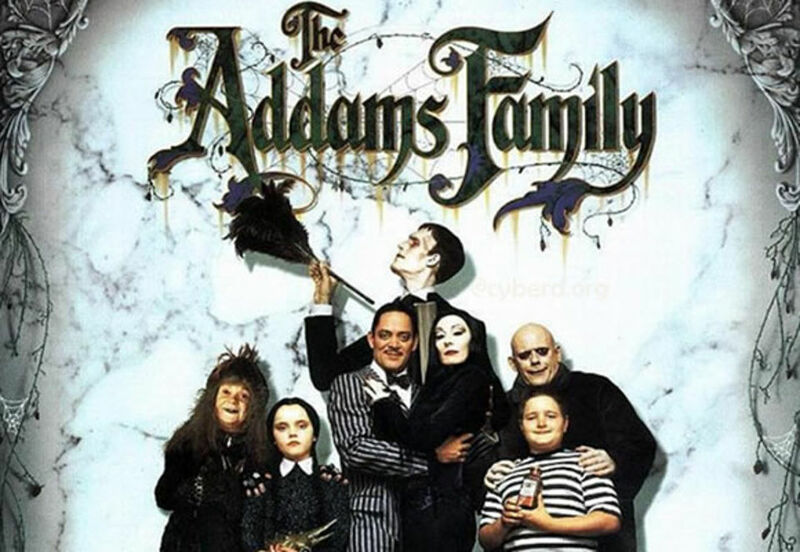 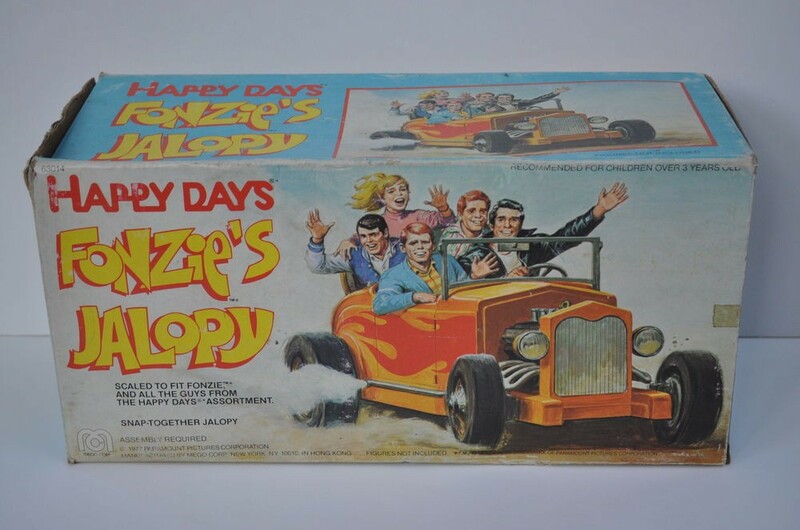 Happy Days was a popular American sit-com, created by Garry Marshall, that ran from 1974-1984 and was one of the highest-rated shows of the 1970s. 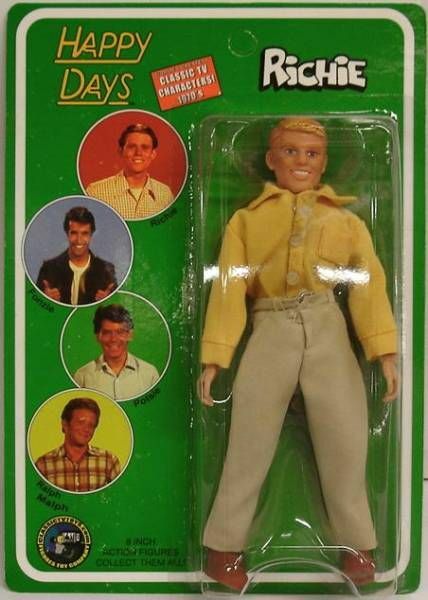 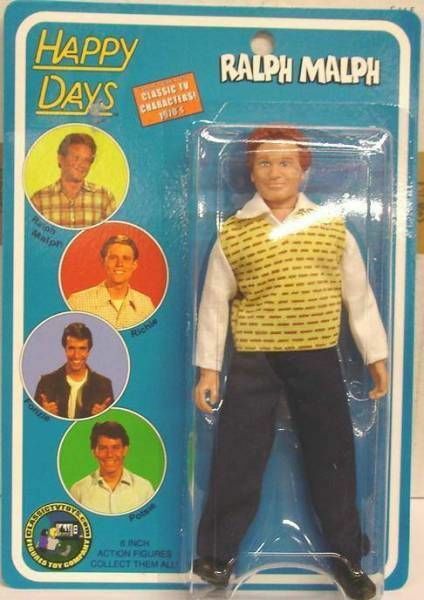 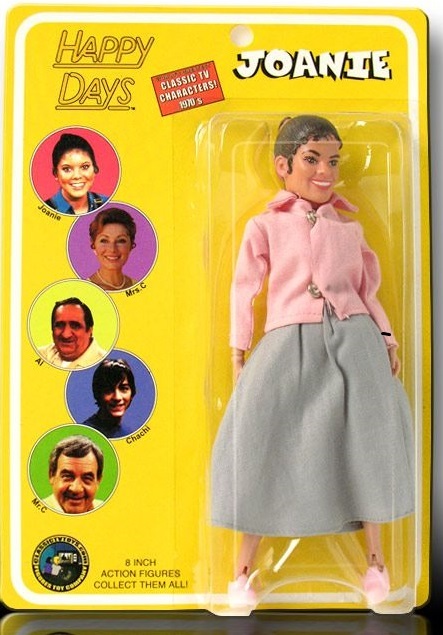 The Mego Happy Days line debuted in 1977 and continued in 78. 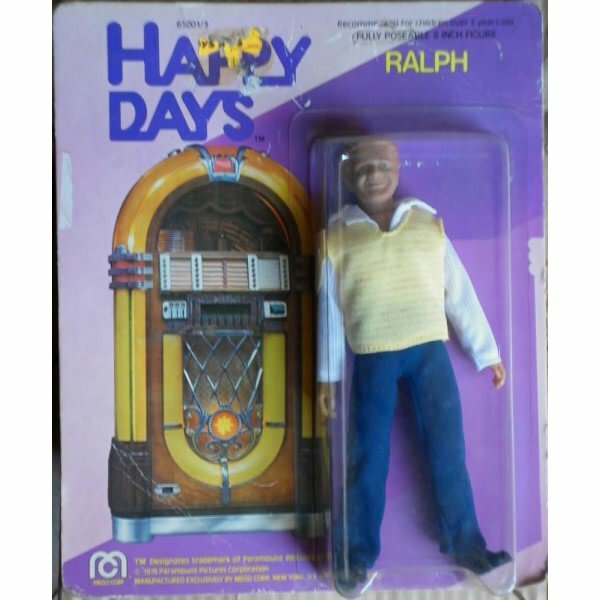 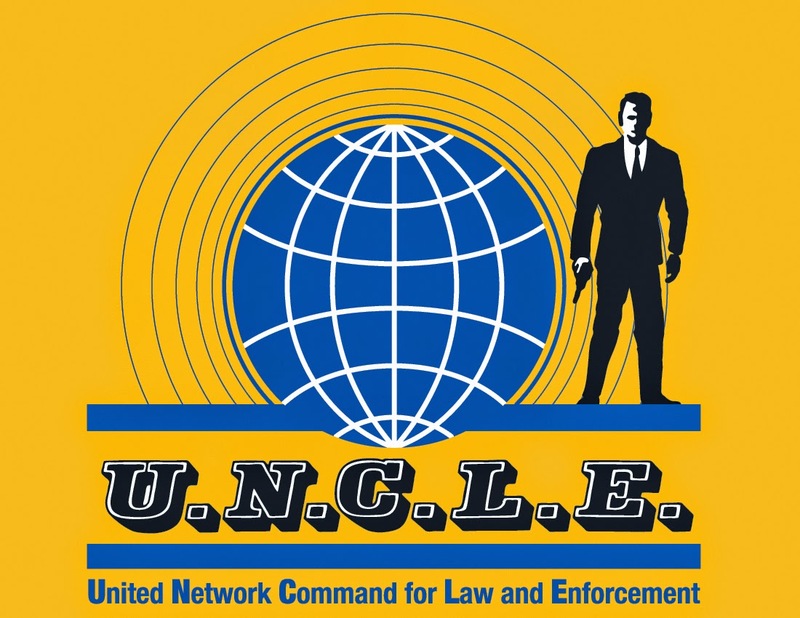 Richie and Ralph were both featured wearing white tennis shoes with dark side stripes in promotional material but they shipped with the standard Mego dress shoes. 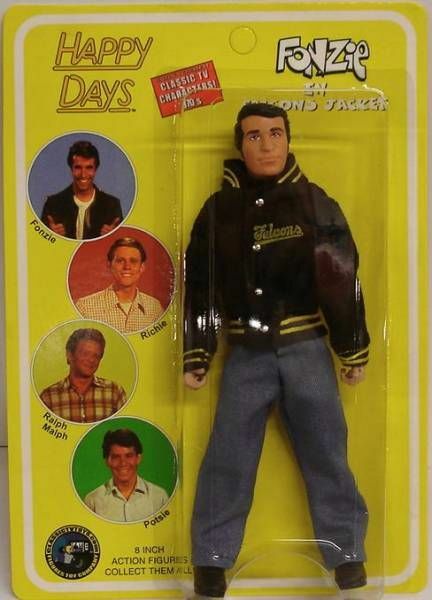 This was probably one of the best TV related lines produced Mego for quality, sculpt and detail but it initially got off to a very poor start and it wasn’t until the introduction of “Fonzie” that it got any real attention. 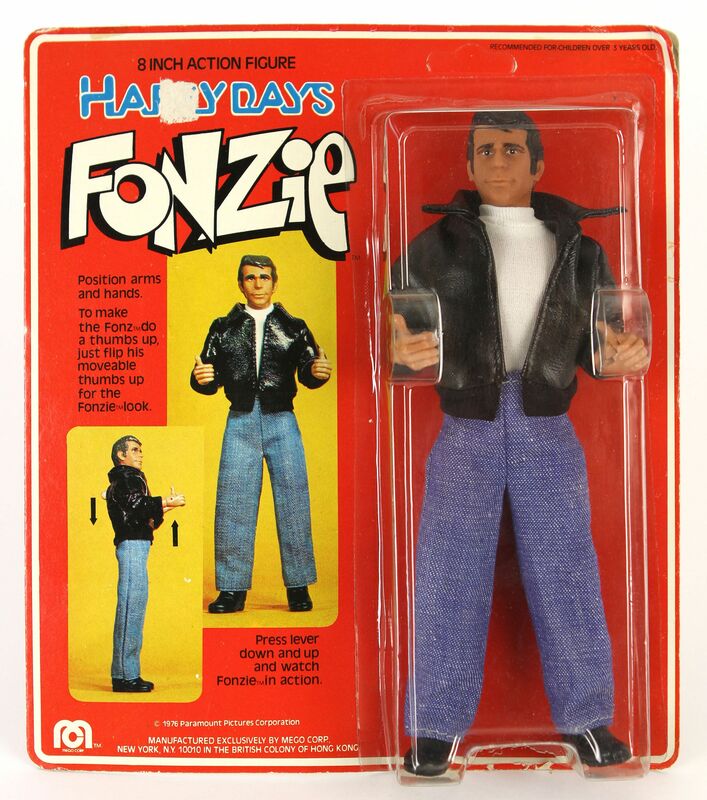 The Fonzie figure also featured a “thumbs up” action, it was also released as a 15-inch figure by Samet and Wells, a Mego subsidiary. 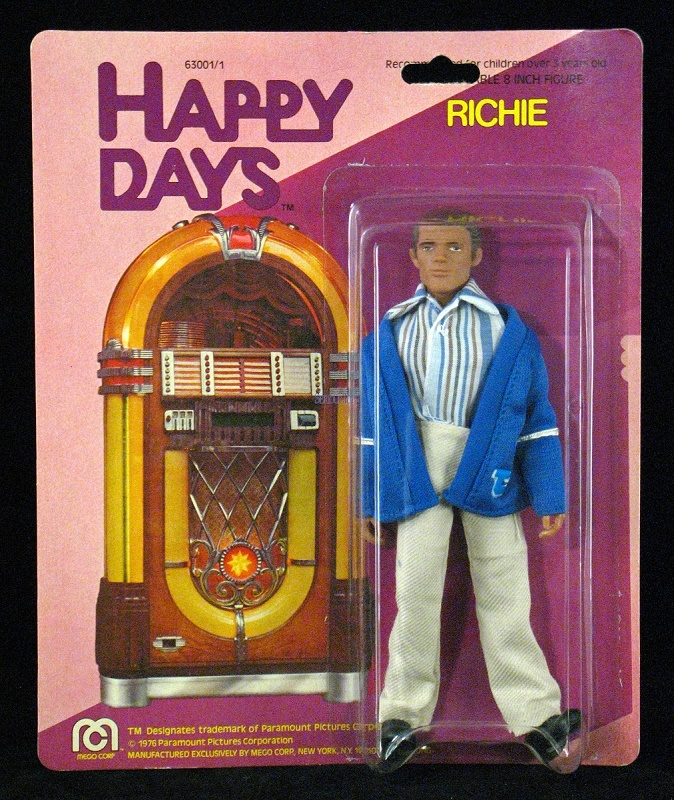 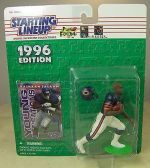 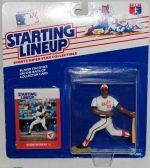 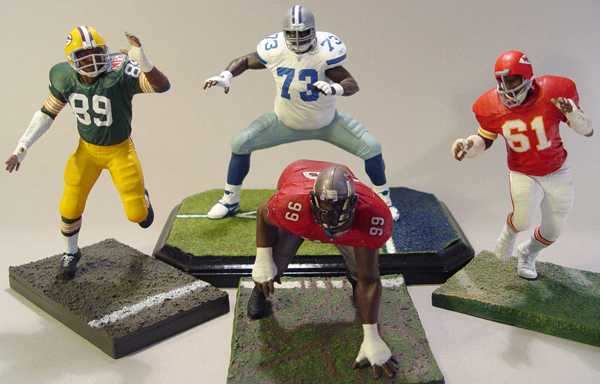 The line consisted of four figures, two figures and a playset: Fonzie (carded and boxed), Richie, Potsy and Ralph. 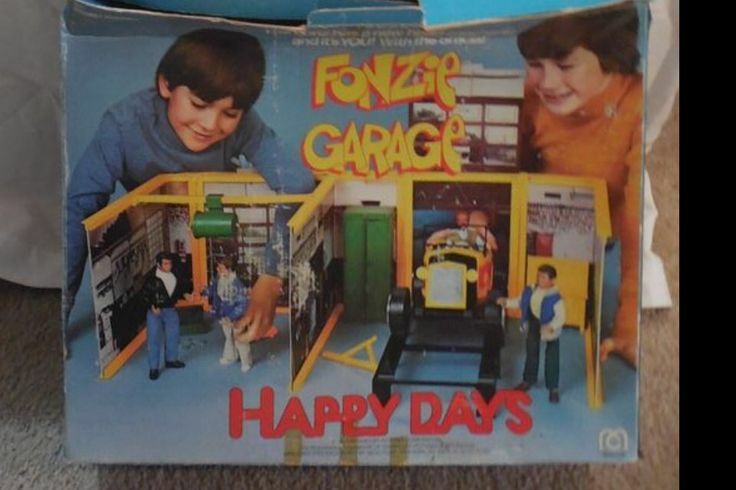 Fonsie’s motorbike and his Hot Rod (or Jalopy) which was part of the Garage Playset. 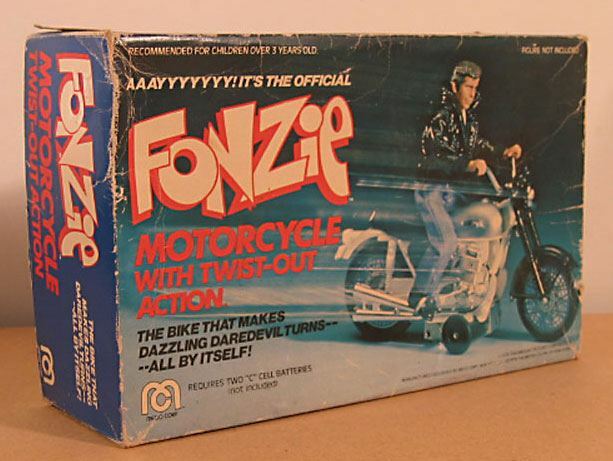 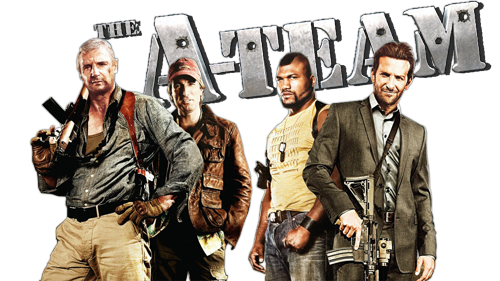 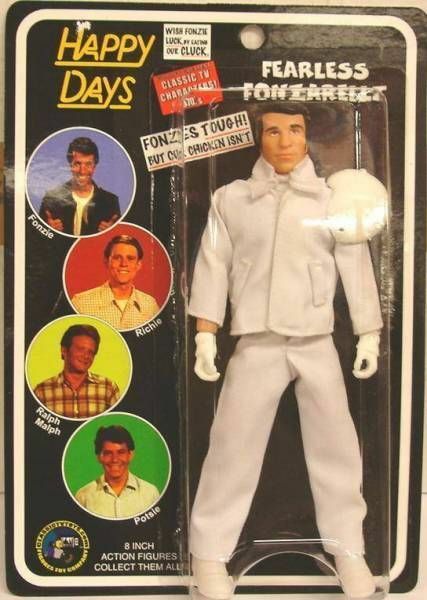 A further two more figures and a 12″ Fonzie were planned for 1978 but were eventually dropped. 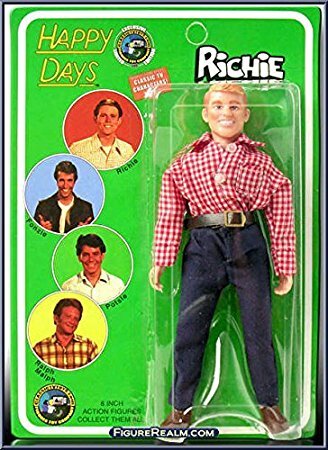 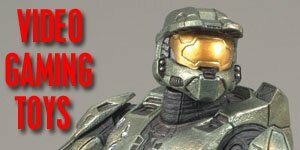 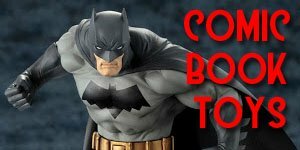 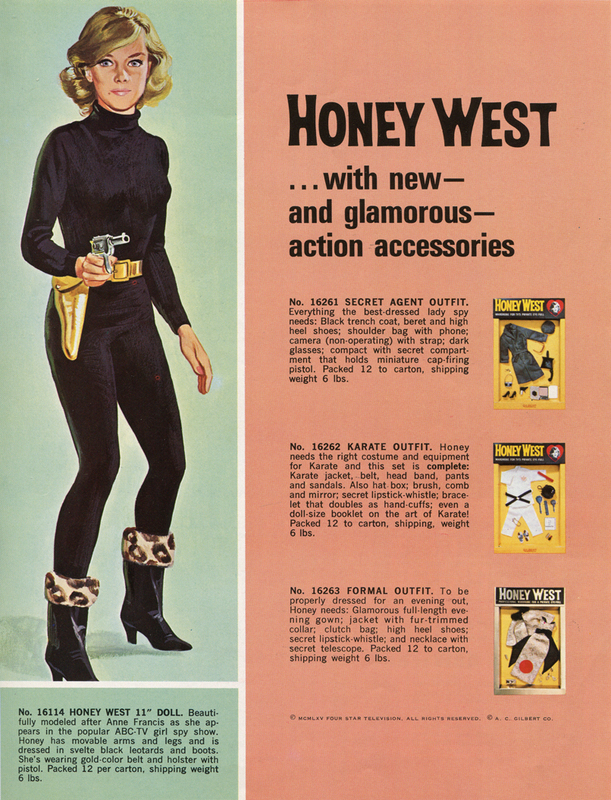 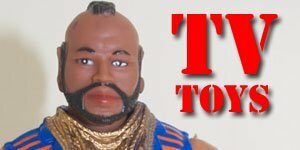 The Figures Toy Company specializes in reproducing many of the classic Mego lines of action figures as well as re-creating many of the modern lines of action figures in a retro Mego style, whicha has become quite popular. 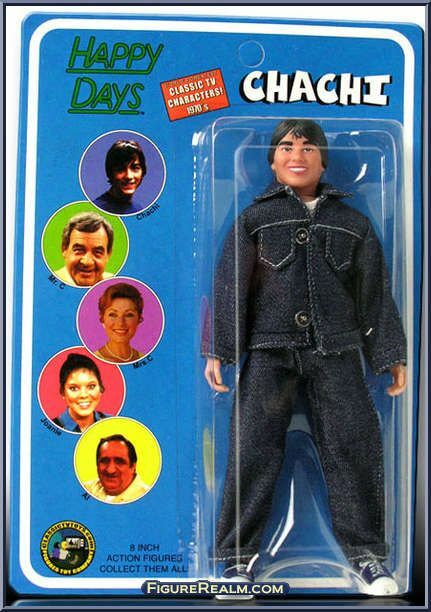 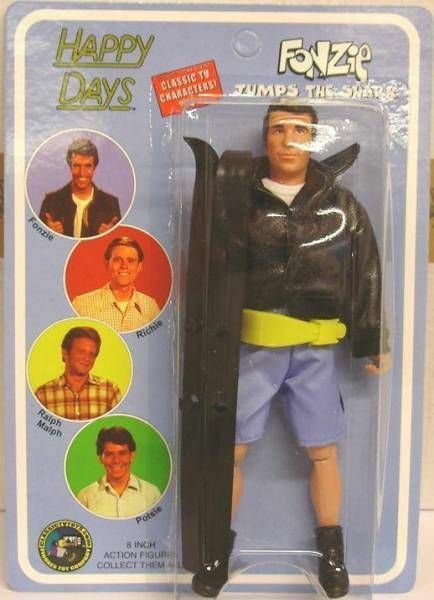 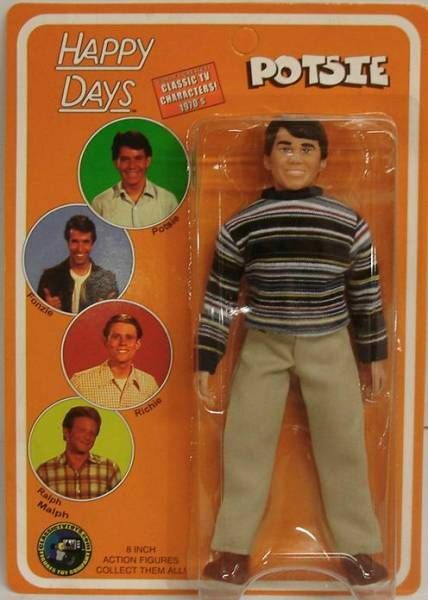 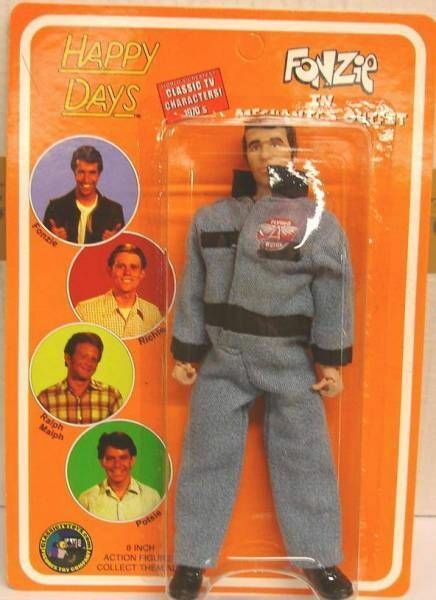 In 2005 they released a total of 4 series of Happy Days action figures, with 4 figures per series, plus two limited edition figures.